Apparently Sebastiens Loeb and Ogier just can't get enough of each other. How else can you explain the fact that after competing in the World Rally Championship, going hell for leather each event, the two drivers are now also taking to a racetrack to compete with each other. You see, for once when Loeb and Ogier head to Monaco, it won't be to the icy stages of Monte Carlo. Instead, it will be to the tight and twisty circuit where Grand Prix greats have gone wheel-to-wheel for duels of epic proportions. Instead of driving their Citroens and Polo R WRCs, the two will be strapped into a Porsche 911 GT3 Cup car each and fly down St Devote, Beau Rivage, Massenet, Casino and more, all in a bid to be the best at the Porsche Mobil 1 Supercup. A right treat for the fans then! So, what will they be piloting? Well, you already know that they'll be driving Porsche 911 GT3 Cup cars, but here are the specifics: the cars come powered by 3.8-litre six-cylinder Boxer engines that make 460PS of power. 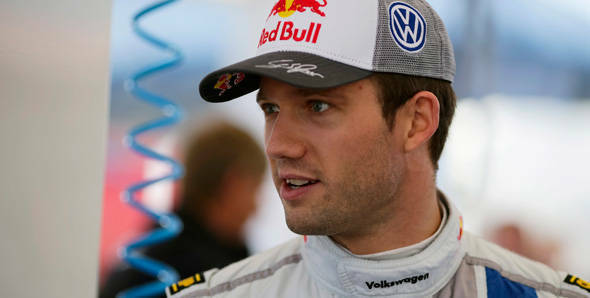 Ogier, who currently leads the World Rally Championship standings, will be competing in a car prepared by Team Allyouneed by Project 1. Loeb, on the other hand, will be behind the wheel of a Pop Art Porsche, complete with special livery courtesy Tag Heuer. Loeb, on the other hand, does have a lot more experience racing cars, a fact that his younger rival has acknowledged. Not only has he won the Race of Champions thrice, the nine-time WRC champion has also finished second in 2006 edition of the 24 Hours of Le Mans, competing in the French GT championship and European Le Mans series. Let's not forget that Super Seb was also all set to make his F1 debut at the 2009 Abu Dhabi Grand Prix - a plan that was scuppered only because the FIA wasn't able to grant him a super licence, stating that he hadn't had enough circuit racing experience in lower formulae. So there you have it - at this weekend's Monaco Grand Prix, Sebastien Loeb and Sebastien Ogier will go head to head in their Porsches. It's a race we wouldn't miss!